A blessed Yom Kippur/Day of Atonement to you all. Earlier this month, I subscribed to Bible Gateway’s newsletter Holy Land Moments with Rabbi Yechiel Eckstein. It’s described as a way to learn about the Jewish background of Scripture by exploring the High Holy Days. The central part of the Yom Kippur service is missing today. Chapter 16 of Leviticus is dedicated to the description and instructions for the Yom Kippur service that was performed when the Tabernacle and later the Temples stood. Today, we no longer have a high priest, nor do we participate in ritual sacrifices. 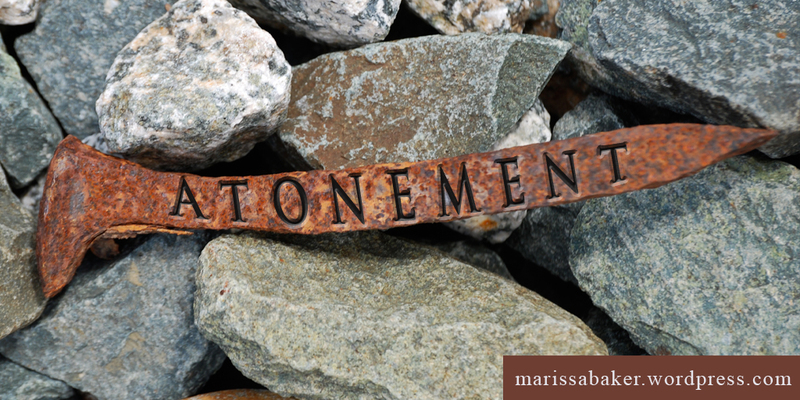 So how do we achieve atonement? 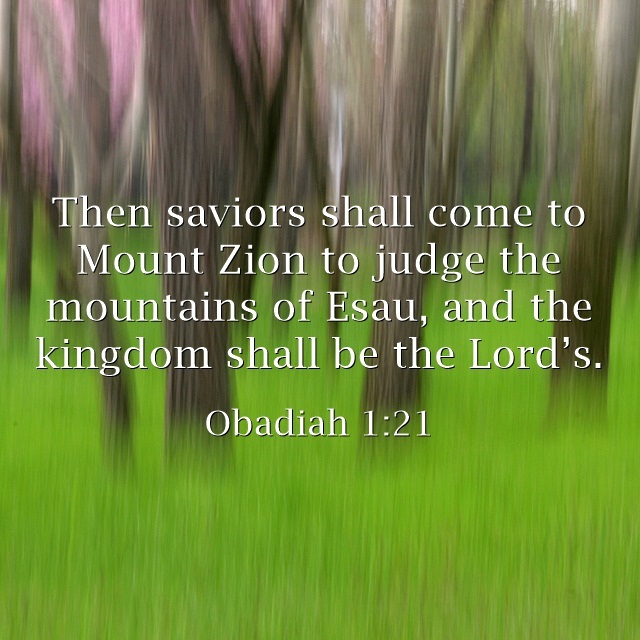 Obadiah is the shortest book in the Old Testament, and so far the most difficult for me to write about. When I started reading through and studying the minor prophets, I figured I should be able to come up with at least one blog post on each, since “All Scripture is given by inspiration of God, and is profitable for doctrine, for reproof, for correction, for instruction in righteousness” (2 Tim. 3:16). About 300 years ago, Matthew Henry’s verse-by-verse commentary covered Obadiah in humbling detail. Reading it made me marvel at the depth of his appreciation for God’s word (he wouldn’t have any trouble coming up with 3 or 4 posts on Obadiah). Where I saw a prophecy against Edom, he saw (among other things) a record of God’s motivation for vengeance, promises of a bright future for God’s people, and some warnings for us as well. The “vision of Obadiah” is about what the Lord God has to say “concerning Edom,” and none of it’s good. All their allies will turn against them (verse 7), all their wisdom be destroyed (verse 8), and their warriors slaughtered (verse 9). Why such a strong condemnation from our loving God? 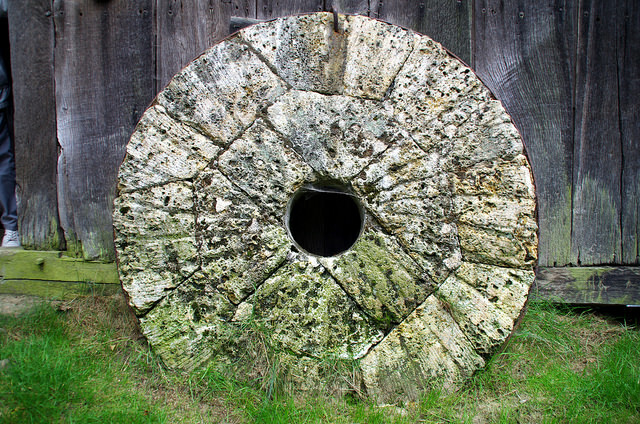 In Luke 18, Christ gives a parable about how even an unjust judge will seek justice on behalf of persistent petitioners. How much more will the just God “speedily” “avenge His own elect who cry out day and night to Him” (Luke 18:7-8)? Even with these reassurances, though, it can be hard to wait on God. If someone hurt us, we want to hurt them back (or at least see them get their just desserts), and we wonder why it seems like God is taking so long to fulfill His promises. I’m sure that’s how the Israelites felt when they were attacked by enemies then looted and captured by Edom after thinking they’d escaped (Oba. 1:12-14). When we are struggling to believe that God is there for us, we can look to past examples of God’s deliverance and avenging role for comfort. He does not abandon, and He does not forget. Of course, this has a warning side as well: don’t be the person who God has to seek vengeance against. If we believe God will avenge His people, then we also should believe that there will be consequences if we go around hurting our brethren. This is a serious warning. Yet how many times are children scolded in churches for minor transgressions that really boil down to the fact that they’re not adults? How many new converts are made to feel insignificant, unwelcome and devalued because they don’t already know something about our church? How often do supposedly mature Christians squabble, back-bite and spread division? Matthew Henry follows this principle of “being aware” when discussing the Edomites’ transgressions listed in Obadiah. When reading the things God told the Edomites they “should not” have done, Henry turns it around on us. We want the whole “vengeance is Mine” thing to work on our behalf, but we dare not forget that it can be directed against us as well. If we love God, we will keep His commandments and need not fear Him, but we must always have a healthy respect for Him and His immutable laws. We don’t often like to think of this side of God, but He can be really scary. Christ is the Lion of the tribe of Judah, not a housecat. That’s Someone you want fighting for you, not against you — and that’s what He wants as well. That’s what we want — to be saved and to have the privilege of serving alongside Christ to save others. Let’s not endanger that by seeking vengeance for ourselves, attacking our brethren, or drifting away from God’s laws. Rather, let’s trust in God and strive to work alongside Jesus to help others. The name Hosea means “salvation,” fitting since the Biblical book that bears his name has strong salvational themes running through it. Two weeks ago, we started studying this book by talking about how Hosea modeled God’s redemption of Israel by taking back his own unfaithful wife. Then last week, we looked at how warnings against rejecting God give us hope as well as caution, because the flip side of choosing to walk away from God is the ability to choose a relationship with Him. This week, we’ll wrap-up discussion of Hosea with more focus on this hope of salvation through relationship with our Savior. Last week, we said Israel’s main problem was that they rejected God and had no knowledge of Him. They also had another problem, one they share with the church of Laodicea. They claimed they were wealthy and self-sufficient, but the truth of the matter was that while “Israel is a luxuriant vine that yields its fruit,” the fruit wasn’t any good — “You have plowed iniquity; you have reaped injustice; you have eaten the fruit of lies” (Hos. 10:1, 13, ESV). The solution for this problem, both in Hosea and Revelation, is essentially the same. The message is clear — stop acting as if you don’t need God. Trust Him, come back to Him, and ask for His help. It requires the humility to recognize you are lacking something, and admit you need God to supply it. It means choosing to produce good, rather than evil, fruit. At it’s most basic, it is seeking a relationship with your Creator and letting Him save you. In Hosea 11, God compares Israel’s early history to a beloved child who He taught “to walk, taking them by their arms; but they did not know that I healed them” (Hos. 11:1, 3). They ignored Him and ran away from Him, which got them into all sorts of trouble. Israel was warned what would happen to them if they chose to walk away from God, and they were punished for their wrong decisions. Yet God still loved them so much that He continued showing mercy and calling for them to come back to a relationship with Him. God’s insistence on cultivating a friendship with people who have destroyed themselves is remarkable. Why would He want them — and why would He want us? — after all we have done? yet His promises to save us, to know us, and to redeem us stand firm. These are promises we can count on. When God says, “I will ….”, He means it. He is committed to healing and loving his people. With such promises to rely on, we have no justifiable reason not to walk towards God. He wants very much to save us from sin and death, if only we’ll let Him. In the sermon I referenced in last week’s post, the speaker briefly touched on a point that I wanted to make the subject of further study. Since I also needed a topic for today’s post, I decided to “kill two birds with one stone,” as the saying goes. This first section is going to summarize relevant parts of that sermon, then I’ll move on to my own thoughts on the subject. In 2 Timothy 3:12, Paul writes that “all who desire to live godly in Christ Jesus will suffer persecution.” There are no exceptions. However, as this speaker pointed out, we can all name Christians we know of who went through life without having to face the kind of persecutions mention at the end of Hebrews 11. His conclusion, from bringing in Ephesians 6:12, is that this verse includes persecutions from a spiritual source. 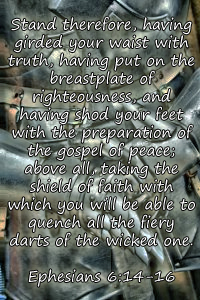 The Armor of God passage in Ephesians talks about arming ourselves for our struggle against sin as if for war. It also gives us important information about who our enemies are and what must be done to overcome them. Seeing our danger is one step toward overcoming the adversary. We can’t fight something if we don’t recognize that is is putting us in peril. As in other areas of our lives, our focus should be on spiritual, not physical things. It is hard to be on guard spiritually if we are too focused on physical safety. Are we more worried about keeping our hearts, minds, and spirits safe than we are about protecting our lives? Perhaps this is one reason we are told, “do not worry about your life” (Matt. 6:25). To much focus on the physical distracts us from the importance of our spiritual future, the condition of our spiritual lives, and the danger from our spiritual enemy. We must be on constant guard, steadfast in faith, and strong in the power of our Lord Jesus Christ. The line right before this warning about our adversary reminds us where our true strength come from: “humble yourselves under the mighty hand of God, that He may exalt you in due time, casting all your care upon Him, for He cares for you” (1 Pet. 5:6-7). To win a fight against a spiritual enemy and endure spiritual persecutions, we need the aid of our Spiritual Savior. When we fully submit to God, we can say along with Paul, “I can do all things through Christ who strengthens me” (Phil. 4:13).